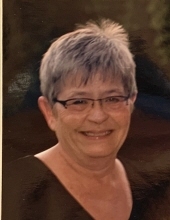 age 67, of Pittsburgh, passed away surrounded by her loving family on April 13, 2019. Diana is survived by her beloved daughters Josetta D'Ambrosio, Amanda (Jason) Lynch, and Melissa (Matt Dowler) D'Ambrosio; sister Frances (Chuck) Vietmeier; granddaughters Alexis, Emma Jo, Lily, Grace; nephew, Tyler, also survived by loving family Sal (Carla) D'Ambrosio. She was preceded in death by her parents Joseph and Bertha Smith. Visitation will be held on Monday, April 15, 2019, 2:00 pm - 4:00 pm & 7:00 pm - 9:00 pm at the JEFFERSON MEMORIAL FUNERAL HOME, INC., 301 Curry Hollow Rd., Pleasant Hills, 15236. A Funeral Service will be held April 16, 2019 at 10 am at the funeral home's chapel. Condolences may be left at www.jeffersonmemorial.biz. To send flowers or a remembrance gift to the family of Diana D'Ambrosio, please visit our Tribute Store. "Email Address" would like to share the life celebration of Diana D'Ambrosio. Click on the "link" to go to share a favorite memory or leave a condolence message for the family.